If it’s time to leave work and all you can think about is the dreaded commute home full of honking horns, fender benders and road rage, you might need a mountain getaway. Dream of connecting with the wilderness in a serene and peaceful environment? You might need a mountain getaway. If you love hiking, fly fishing, and horseback riding, but can’t remember the last time you did any of those things, guess what? You might need a mountain getaway. If you live near Atlanta, you might be in luck! There are plenty of ways to enjoy a nearby getaway from Atlanta. Read on to learn more! 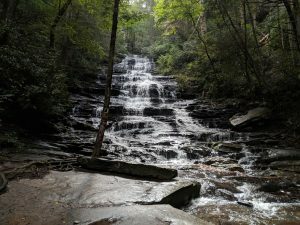 For a comprehensive list of the area’s best local hiking, biking, dining, shopping, and more, be sure to request access to our free North Georgia Vacation Guide! Part of the oldest mountain range in the U.S., North Georgia’s crests and valleys are known for scenic views, small towns, and adventure. 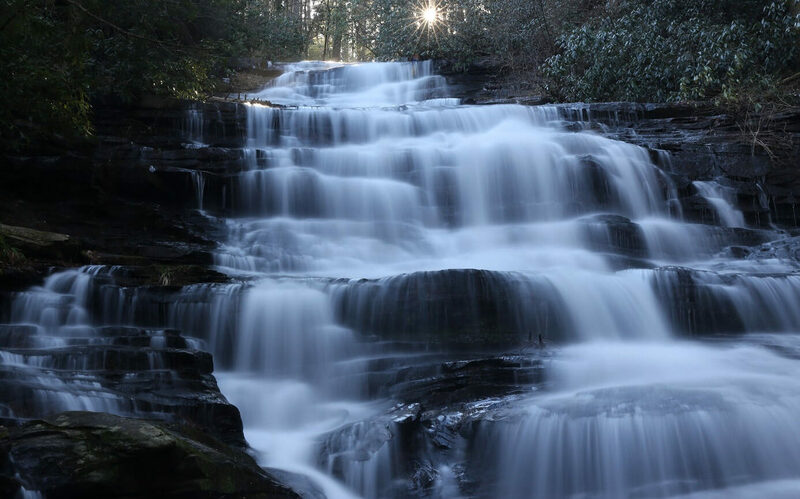 The beautiful blue-hued mountains, sparkling rivers, and lush forests are located just an hour outside of Atlanta. Mountain activities that beckon the outdoorsman include horseback riding, fishing, hiking, biking and so much more. There are also plenty of festivals in the North Georgia Mountains to tempt city-dwellers into a weekend trip from Atlanta. Here are a few of this region’s best peaks and parks to explore. Did you know that there are more than 900 mountain peaks in Georgia? The highest mountain peak is Brasstown Bald at 4,784 feet above sea level. Visitors can ascend the peak via an access road or by hiking Jack’s Knob Trail. It’s just a short hike from the parking area and visitor center, and, on a clear day, the peak offers gorgeous 360-degree views of the horizon. There is also an observation deck and museum at the top of the peak for visitors to enjoy. Brasstown Bald is less than three hours from Atlanta via I-85 North. Black Rock Mountain State Park surrounding Black Rock Mountain is Georgia’s highest state park! It encompasses some of the most outstanding scenery in Georgia’s Blue Ridge Mountains. There are 80-mile vistas, hiking trails, waterfalls, and lush forests in this park. There is also a small lake in the park that is popular among fishermen. 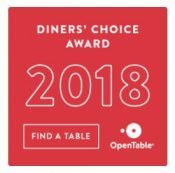 Some of the best North Georgia vineyards are also great places to visit near Atlanta! A romantic day trip from Atlanta is the perfect excuse to relax and savor fine North Georgia wines. There are also plenty of family-friendly farms nearby where visitors can enjoy the perks of country life. Here are some of our favorite places to sip local wine and enjoy the perks of a family-owned farm. Kids will have a blast at Hillside Orchard, a family-owned farm where they can pick fresh apples. They can also venture through Little Mitcham’s Gem Mine, visit barnyard animals, and ride a train around the farm. Jaemor Farms is complete with a corn maze, locally grown produce, and fresh food for purchase in the on-site country store. 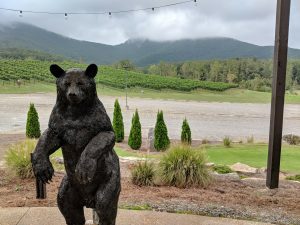 One of the best North Georgia wineries is Three Sisters Vineyards and Winery. It boasts over 10,000 premium wines, a panoramic mountain view, and plenty of authentic folk art. This small and cozy winery features all kinds of unique wines. We recommend indulging in a wine tasting here. The best part? This is the only place in the world where you can try and buy Serenity Cellars wines. They don’t distribute any of their creations! 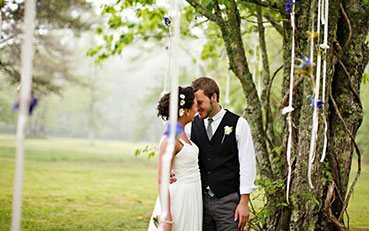 This well-known North Georgia winery offers breathtaking views of rolling vineyard hills at the base of Mount Yonah. For a luxe North Georgia wine tasting experience, be sure to stop by this staple (just a 5-minute drive away from Serenity Cellars). The shopping near Glen-Ella Springs Inn is another great way to unwind during a getaway from Atlanta. There’s no better way to get a break from the hustle and bustle—it won’t be your typical outlet mall scenario. Think more of a leisurely walk through a sleepy-yet-charming small town. There’s something very special and enjoyable about popping in country markets and antique stores, making new acquaintances as you go. Visitors love to explore Clarkesville and the surrounding small towns for their eclectic local businesses. 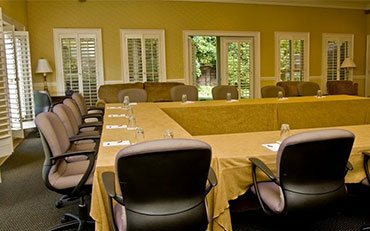 Glen-Ella Springs Inn is a 17-acre country estate in the town of Clarkesville, GA. 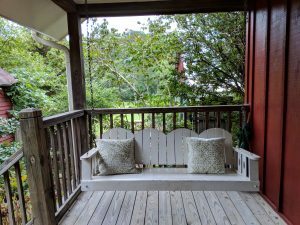 Whether you’re looking for romantic getaways in Georgia or some alone time with the great outdoors, you’ll find what you’re looking for at Glen-Ella Springs Inn. Over a century old, the historic inn offers the perfect atmosphere for any escape. 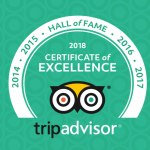 It has consistently been touted as one of North Georgia’s best places to stay! Many people stay at Glen-Ella Springs just for the property’s picturesque grounds! Upon arriving, you’ll notice our gorgeous gardens, which date back to the 19th century. The gardens are true masterpieces that attract many birds and bees! The 12-acre meadow beyond the gardens is ideal for leisurely country walks by forested mountains. Glen-Ella Springs Inn features amazing amenities, too. The property’s private pool is perfect for cooling off in the summer and observing the surrounding nature. In cooler months, guests love warming up by their in-suite fireplace or in their private whirlpool tub! Book Your Weekend Getaway from Atlanta Now! At Glen-Ella Springs Inn, you’ll be close to everything North Georgia has to offer. While on your trip, come back at night to one of our beautiful Penthouse Suites! Our largest and most spacious accommodations, our Penthouse Suites are perfect for luxurious, last-minute weekend getaways from Atlanta. Each suite is beautifully and individually decorated with plenty of windows. High ceilings give guests a sense of openness while the natural wood floors and walls give off a warm and comfortable glow. 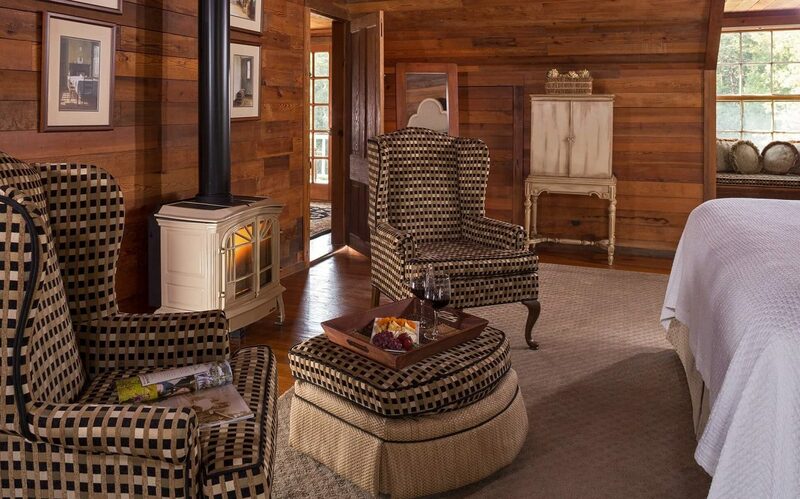 From lavish linens to the overstuffed reading chairs, these rooms at Glen-Ella Springs Inn have it all. Looking to book a romantic getaway from Atlanta? Reserve our Romance Package today and get started planning! We can’t wait to host you. You Need a Getaway to the Mountains Near Atlanta! Here Are 4 Absolutely Unique Stores in North Georgia — Find Unique Treasures at The Best Antique Stores in North Georgia!